A leading figure in the field of pediatric critical care medicine, Ann E. Thompson, MD, received the 2018 Group on Women in Medicine and Science (GWIMS) Leadership Award for an individual. The award recognizes Dr. Thompson’s commitment to developing women leaders at the University of Pittsburgh. Dr. Thompson’s “Wonderful track record of academic leadership clearly demonstrates a career-long commitment to developing women leaders,” noted Archana Chatterjee, MD, PhD, the Chair of GWIMS. The GWIMS award was bestowed at the Association of American Medical Colleges annual meeting in Austin, Texas on November 3. Since 2014, Dr. Thompson has served as Vice Dean at the University of Pittsburgh School of Medicine. 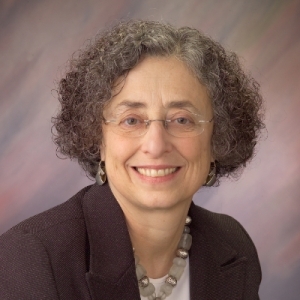 She was Division Chief of Pediatric Critical Care Medicine at the University of Pittsburgh from 1981 to 2009 and was the Interim Chair of the Department of Critical Care Medicine prior to the appointment of Derek Angus, MD, MPH, in 2009 as the Department’s second Chair.